c events, or links to other sites providing statistics and publications on the subject. - Where are the female first and last authors? Women remain under-represented in many areas of science, but they are especially scarce in the pages of high-impact journals. 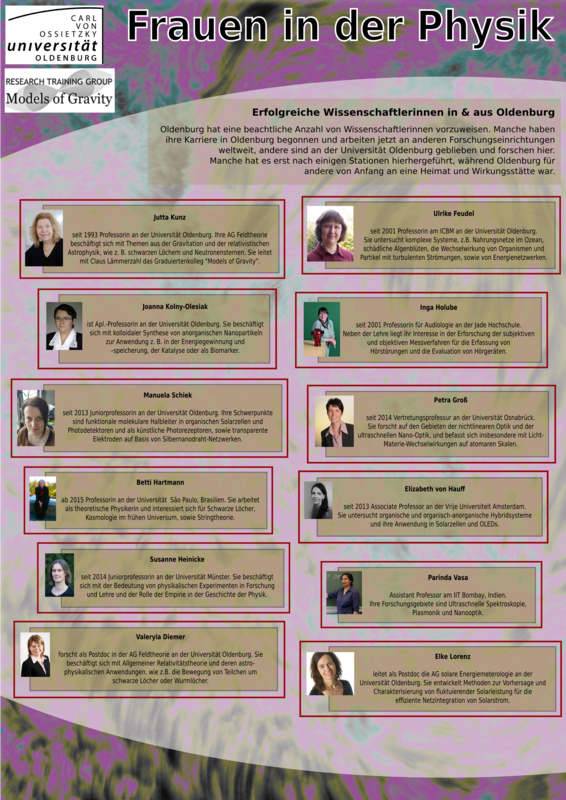 "Wissenschaftlerinnen in und aus Oldenburg"
"Are women contributing enough to their own career advancement?" - "Science: It's a girl thing!"